The quality of teacher training will be crucial to the success of the new Common Core State Standards in math, educators say, and the pressure is on districts to give elementary school teachers the skills they’ll need to provide students with a firm foundation in early arithmetic. 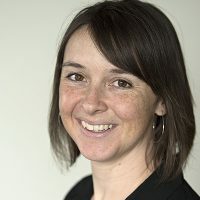 “My big worry is that we’re not going support (teachers) and then we’re going to say, ‘See, the Common Core doesn’t work,’” said UCLA education professor Megan Franke, who focuses on mathematics education. Franke said the teachers she’s met in her trainings are unevenly prepared to take on the challenge of instructing students in the dramatically different fashion needed to reach the more comprehensive standards. Teacher preparation programs in the state vary widely in quality, according to Greatness by Design, a 2012 report issued by a blue-ribbon task force appointed by State Superintendent of Public Instruction Tom Torlakson. And once teachers are hired, the availability of professional development opportunities to improve their skills varies widely across the state, as well. Five districts contacted by EdSource said several were offering between three to 10 days of training in math instruction aligned to the Common Core for elementary teachers; others were not offering any additional training. The new standards, adopted by California and 44 other states, call for students to demonstrate a deeper understanding of math concepts in the early elementary grades than was required by California’s previous state standards. For teachers long urged to prepare students to answer questions quickly on tests, moving to an exploratory, in-depth instruction model will be a challenge, said Kevin Fox, a math instructor at Shasta College who helps train elementary teachers in math instruction. Most teachers have been trained to instruct students to solve math problems by using formulas,Fox said. To find the area of a rectangle, for example, students would be given the appropriate formula – multiply the width of the figure by the height – and then expected to practice similar problems on worksheets or homework. To teach children math under the new standards, teachers need to think about math as a set of concepts students can discover, if they are given the right puzzles, Fox said. Rather than providing a formula to calculate the area of a shape, students might be given a set of problems or activities that help them discover how to arrive at the formula on their own. “It’s revolutionary,” Fox said of the new instruction methods required by Common Core. Whether elementary school teachers will be given the support they need to facilitate that revolution is unclear. The state provided $1.25 billion this year to help districts implement Common Core, but the funds can be spent on items from textbooks to computers – anything districts need to make the new standards a reality and prepare for new, computerized tests aligned to the standards. The money can be spent on teacher training, but it is not required that districts do so. In the districts contacted by EdSource, elementary school teachers were expected to receive anywhere from three days to two weeks’ worth of training in the new math standards over the course of the 2013-2014 school year. Some districts, such as Sunnyvale, Oakland, Elk Grove and Fresno, are also providing ongoing support through lead teachers who receive additional training and then help other teachers in their schools. Other districts, like Orange Unified School District, south of Los Angeles are still developing their teacher education plans and will begin Common Core training in earnest later this spring. Franke reported an increased interest from districts in having her UCLA-based team train their teachers to teach Common Core math. Her team, part of UCLA’s Mathematics Project, tailors its offerings depending on each school’s needs and budget. They work with some schools for several years years and deliver stand-alone sessions that last for a few hours at others. Franke hopes the pressure of new Common Core-aligned standardized tests – which students will begin taking practice tests on in the spring – combined with the significant changes in what students are required to know will inspire districts to invest in more intensive and higher quality teacher education. In the northern California counties of Shasta, Siskiyou and Trinity, educators have placed their bet on a longer, more in-depth teacher training model that attempts to educate teachers in math content as well as in math instruction, as opposed to spending a few days or weeks focused on the Common Core. With the help of federal funding for math and science education, the counties have developedan intensive, three-year program on teaching Common Core math for 84 3rd through 9th grade teachers. In addition to several weeks of summer training, teachers in the tri-county program are given three days out of the classroom each year to attend additional training. 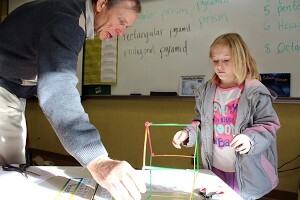 In the interim, teachers are assigned mentors who visit their classrooms to help improve their mathematics instruction. “I thought I was doing a good job teaching (math), but I wasn’t going to the depth that I needed to,” said training program participant Marilyn Cox, a 3rd grade teacher at Weaverville Elementary in Trinity County’s Trinity Alps Unified School District. Cox, who has taught 3rd and 4th grade for 13 years, said she has fundamentally changed the way she teaches math since enrolling in the program. Her students’ newfound enthusiasm for math has translated into improved test scores, Cox said. About 75 percent of her students achieved scores on last year’s state standardized test that put them in the proficient or advanced categories, she said. At a recent session of the tri-county program, held in the Shasta County Office of Education in Redding, teachers sat at tables based on the grade level they taught and worked together on a geometry problem. At the 3rd grade table, teachers Jaime Button of Redding and Mark McKinley of Shingletown, both of Shasta County, said the problem had begun simply enough. Using a grid of 1-inch squares, they’d been asked to estimate the number of squares that fell inside an oddly shaped polygon. Easy, the teachers said, they just counted. Next, the teachers were handed progressively smaller grids of squares and asked to refine their estimate with each new grid. Counting each square quickly became impractical and they wereforced to invent a faster way to find the answer. By looking for patterns in how the grids coveredthe polygon, the teachers were able to write a formula to determine the shape’s area. When the teachers start understanding difficult concepts in mathematics, it will improve their ability to help students make their own discoveries, said Fox, the Shasta College professor who also works with the tri-county program and led the polygon lesson. Button said working on similar math problems had increased her confidence and made her feel more prepared to guide her students through explorations of mathematical concepts, albeit with simpler material. Her previous training hadn’t required much advanced mathematical thinking on her part, Button said. And though she had previously been introduced to the idea of leading hands-on, or more exploratory, math lessons for students, she said the direction she’d received from district leaders for the past decade was to move quickly through new topics and focus on preparing children for standardized tests. But the intensive and long-term follow-up that Cox, Button and McKinley are receiving is not something most teachers have access to, since few districts can afford the $2.4 million program offered by the three northern counties. For districts that can’t offer such a program, Phil Tucher, who oversees math education in the Oakland Unified School District, called for patience. It will take several cycles of testing and curriculum adjustments before Common Core-based teaching and learning practices become widespread, Tucher said. What teachers need most now, he said, is time. This story appears courtesy Ed Source. Reproduction is not permitted.